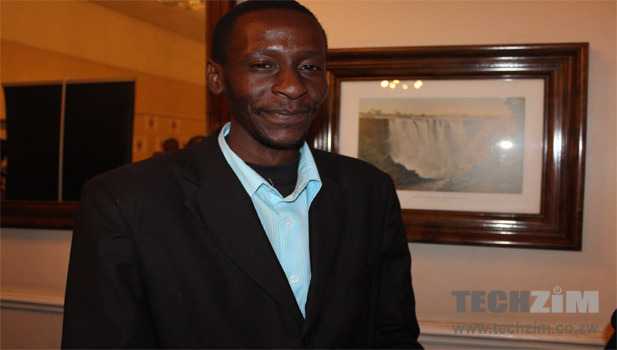 On Tuesday evening the Computer Society of Zimbabwe‘s Harare chapter hosted the society’s monthly event at the Jameson Hotel in the capital city. The theme for this month’s event was Zim Asset : Opportunities for the ICT Sector – Emerging ICT Entrepreneurs Series. At the event a presentation on the Zim ASSET national economic blueprint plan was made by the society’s vice president, Mr Lee Taaziva. He also highlighted the importance of acknowledging opportunities in the ICT sector and its role as a tech bearer in the implementation of this economic plan. Other presentations were made by tech entrepreneurs from various startups including Mr Gwatidzo (Astro Mobile) , Chiko Mukwenha (lookingfor.co.zw), Sam Takunda (Traction Engine, Pay4App), Kevin Ngalonde (VID App), Tinashe Kujoka (Logical Systems Software Developers), Rushmore Mushambi (name.co.zw), George Chingore (Protronics) and Givemore Dube (denheinfo). A lot of buzz was created by Kujoka and his Hunter app which is an instant messaging platform with advertising functionality for sellers; as well as the denheinfo web application from Dube which is a knowledge centre for the Shona language as well as African customs. Each presenter was given an opportunity to briefly highlight the work they are doing and how they are harnessing some of the opportunities being presented in the local tech environment. Through a question and answer session from the audience these presenters were able to highlight the relationship between their efforts and the idea behind Zim ASSET, something that was also reiterated by Taaziva. Taaziva pointed out how the Computer Society of Zimbabwe was interested in strengthening its efforts in the local tech ecosystem and how this was a strong part of the contribution that IT should have in transformation. He also referenced the importance of new and renewed membership and the importance of the next event from the society, scheduled for next month in Masvingo. Its focus will be on the importance of ICT service management and its role in organisational turnaround and growth. Was Tinashe Kujoka part of the contestant at Startup Weekend which kicked off at Hypercube Hub? No I was not there, was not aware of that event. Tell me more ..
tinashe can I also use the zimdrive app on bluestacks?